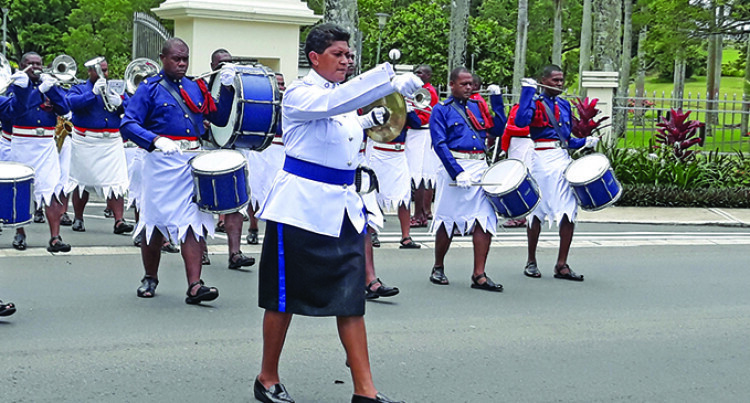 Second in Command Fiji Police Band Inspector Bausema Lilinatabua leads the change of guard in Suva on January 26, 2019. This year, the ceremony saw something new – a female inspector led the Fiji Police Band parade. “I want to thank God for his protection. I want to thank my superiors in the head office for their belief and doing away with the idea that women cannot shoulder these responsibilities,” Inspector Lilinatabua said.